Atma Sandhana (Sam) Yoga stage means two souls are melting like one, but in the illusion it appears to look like you’re not one. The mechanism is, you’re hooking your heart to your master straightly, melting your Swami’s energy and your energy, sucking the highest energy from the nature through the blessing coming through your master’s soul. Everybody who knew Sri Kaleshwar in person was touched by his unconditional love and wisdom. 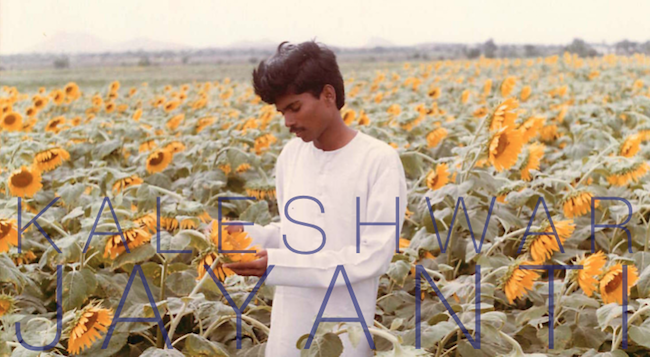 Encounters with Swami Kaleshwar during his life transformed the lives of thousands of people. He always saw the light of each soul and dedicated his entire life serving humanity. Like the universal masters Jesus and Shirdi Sai Baba before him, Sri Kaleshwar is one with all of creation and available for each of us through pure consciousness. He predicted that in this stage now after he left the physical realm, he would be even more powerful and able to support his students in their processes, and to ultimately bless the world through each of them. 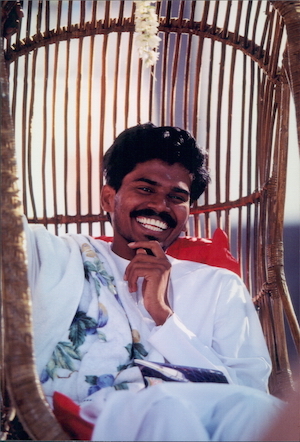 On the consciousness level of love and truth, Sri Kaleshwar is available for each student and his birthday is one of the most auspicious days to connect with this Divine Soul. We can ask for blessings, guidance and support in our spiritual process, win new clarity and focus - or just enjoy his presence in the silence of pure consciousness. On his birthday lets thank his parents and his family and send them our love. Try to do that. It’s not my words. It’s thousands of years ago written in the palm leave books and I (am) linked with that two bishaksharas. Who wants to connect with me, you chant that whenever you need help. Don’t think this physical body; my soul level consciousness, my Brahma consciousness will always come on you and protect you. Take a shower or a bath before the meditation process and wear fresh clothes, if possible light in color. Light a candle and incense on your altar and, if possible, offer a flower to Swami. 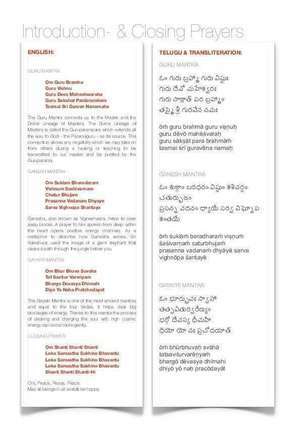 Start your meditation with the opening prayers or by repeating the Guru Mantra 41 times. Meditate with one or both of the mantras above. Close your meditation with the closing prayers. The Guru Mantra connects us to the Master and the Divine Lineage of Masters. The Divine Lineage of Masters is called the Guruparampara which extends all the way to God - the Paramaguru - as its source. This connection allows any negativity which we may take on from others during a healing or teaching to be transmitted to our master and be purified by the Guruparama. Ganesha, also known as Vigneshwara, helps to clear away blocks. A prayer to him spoken from deep within the heart opens positive energy channels. As a metaphor to describe how Ganesha serves, Sri Kaleshwar used the image of a giant elephant that clears a path through the jungle before you. The Gayatri Mantra is one of the most ancient mantras and equal to the four Vedas. It helps clear big blockages of energy. Thanks to this mantra the process of clearing and charging the soul with high cosmic energy can occur more gently. May all beings in all worlds be happy. “Your Swami wants to explain the inner depth mechanism of Atma – Paramatma Yoga. It means, Guru Parampara. Atma means your soul, and paramatma means Divine Soul. Once after certain time period your soul matures, then will start to get ripe.